We’ve had a few rolls of ColorFabb PLA/PHA filament for a while already, but have not used them yet, so we’ve decided it is time to give them a try and see how well they will compare to other PLA filament we’ve tried already. 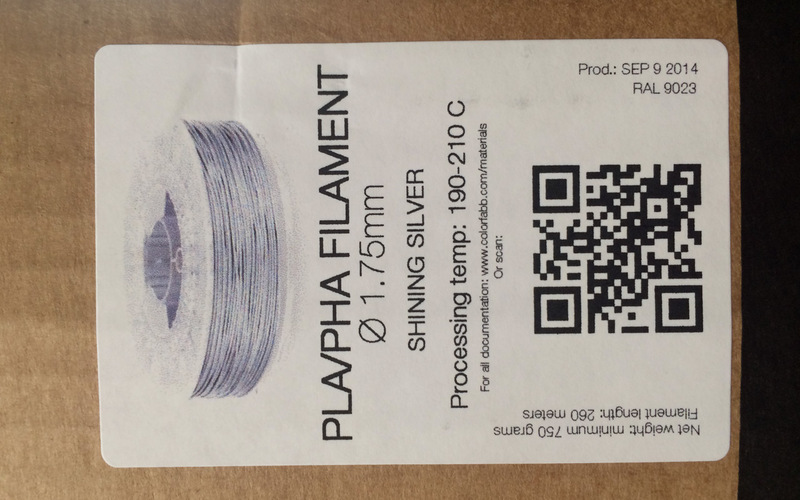 More specifically we’ve started our tests with Shining Silver, a quite nice looking color for a filament, and on the box of the filament we’ve noted a recommended printing temperature of 190-210 degrees Celsius. 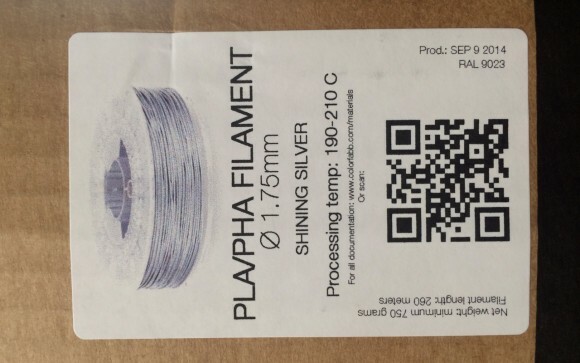 On the ColorFabb website however the advised 3D printing temperature for their PLA/PHA filament is 195-220C. According to the manufacturer the filament should print well with speeds between 40 and 100 mm/s and if you have a heated build platform to set it to 50-60C, though no heated build platform is required for using this material. 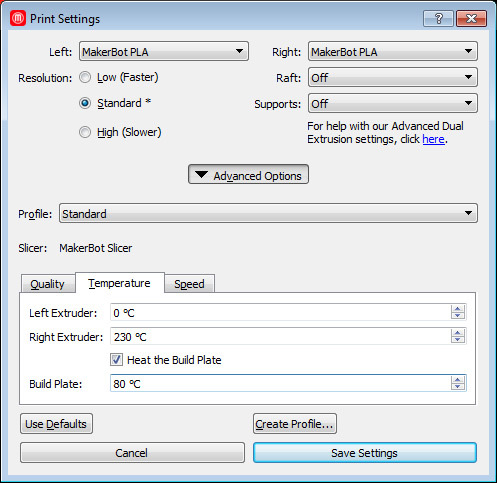 The Glass Transition Temperature is 55C, pretty much like with other PLA filament – the temperature after which the material starts to get softer. 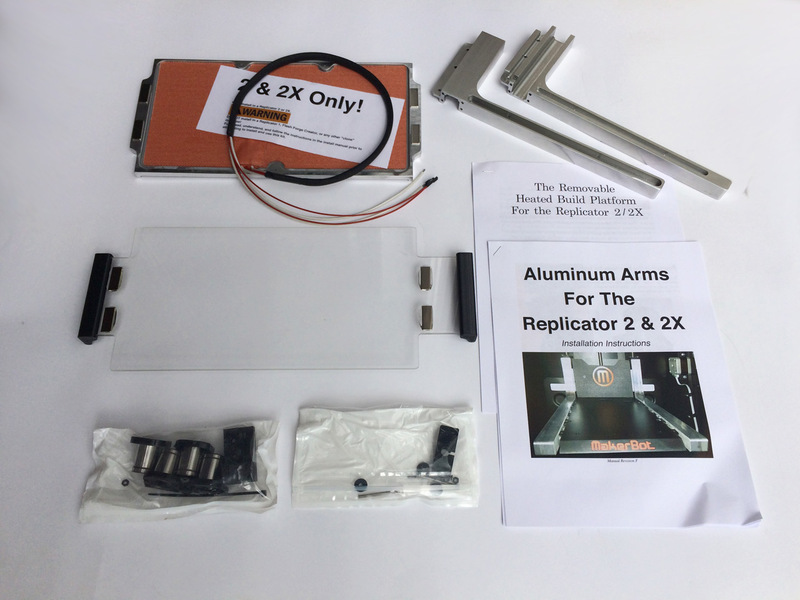 So up to testing, we are using a MakerBot Replicator 2 3D printer and are currently printing on BuildTak surface covering a glass build plate. We’ve had no issues with the material sticking well to the surface and minimal warping around some of the edges only when printing very large objects causing them to not stick well to the surface. You can see the results from printing with different temperatures at 90 mm/s extrusion speed (the standard one used by the Replicator 2) and with 0.2mm layer thickness. At 190 degrees Celsius we were not able to get a finished print as the filament was jamming the extruder, apparently not being able to melt well enough for the extrusion speed we are using, with slower extrusion speed it is possible that you may get good prints. For normal printing speed we’ve seen that at 230C, the temperature we normally use with PLA filament, we were getting the best results. Going up to 250 degrees Celsius we’ve seen degradation in the quality of the 3D printer part, though it was still printed. 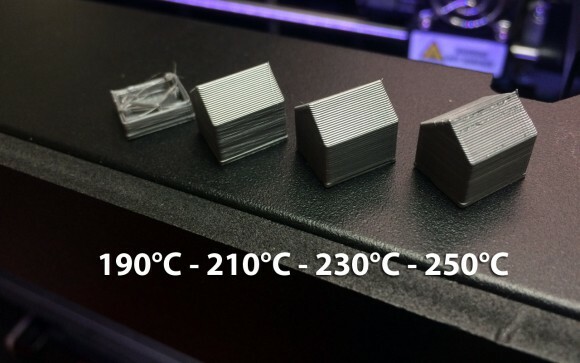 So it seems that the best printing quality we are getting is in the range of 210-230 degrees Celsius, though with different printers this value may vary a bit. In general we are quite happy with the quality and easy of use of the ColorFabb PLA/PHA filament and we are going to be getting more of it to test and use in our printing needs.